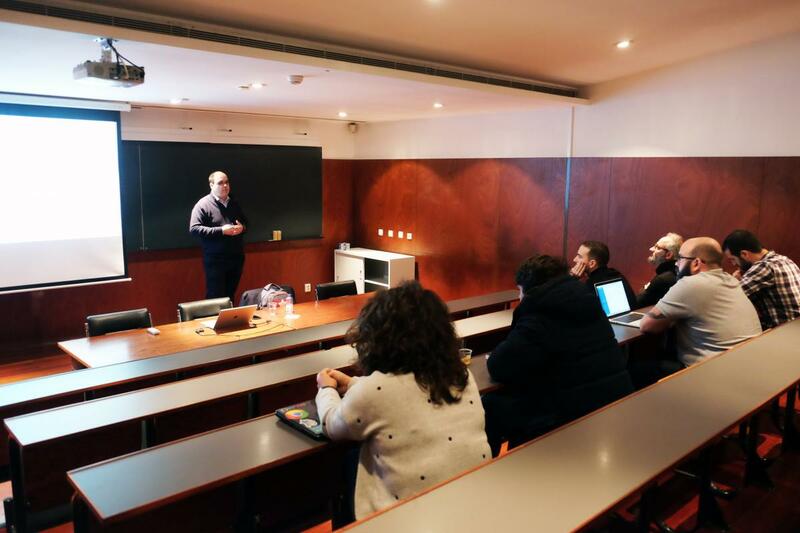 Last week, the SureThing project was presented by Miguel Pardal in the HASLab InfoBlender seminar series, at the Gualtar campus of Universidade do Minho. The audience made some good points about the work. One important aspect mentioned was the need to distinguish between physical location (geographical) and logical location (topological) in the proofs. Also, the social context of proofs may take precedence over technical evidence. If it does, then the collusion attacks become even more important, as discussed in the 2018 paper by Ferreira and Pardal. 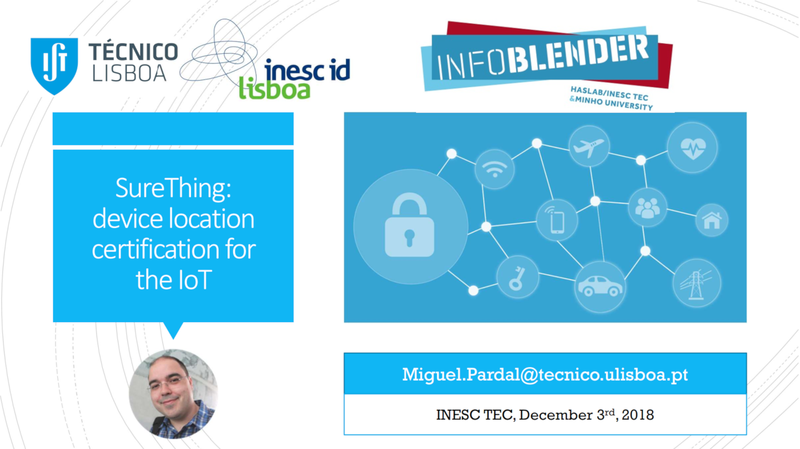 Supply chain management use cases could benefit from the location proof technologies being developed. Again, privacy was mentioned as an important concern in the system design. Special thanks to Francisco Maia and Ali Shoker for the invitation and for hosting the session.